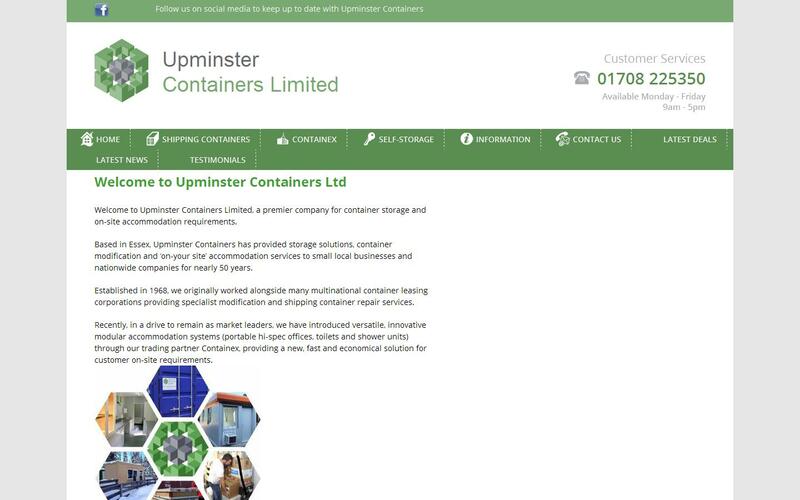 For over 50 years, Upminster Containers Ltd have been supplying both small businesses and nationwide companies with various shipping container options specifically designed for on-site accommodation. Based in Essex, our company specialises in the hire, sales and conversion of bespoke storage solutions, working alongside a number of multinational container leasing corporations who provide specialist modification services as well as container repairs. Established in 1968, we as a company have become market leaders in the design and distribution of innovative storage systems that are created by our team of expert welders who utilise the latest technologies as well as modern fabrication machinery to maintain quality, value and professionalism. Our self-storage solutions are designed for both personal and commercial requirements, and are guaranteed to achieve excellence. Here at Upminster Containers, we have introduced various modular accommodation systems such as portable offices, toilets and shower units. These are designed and distributed through our trading partner Containex, who have provided an economical solution for customer on-site needs. Our team of expert engineers and practitioners understand the importance of complying with relevant coded qualifications and legislation for insurance purposes. We at Upminster Containers believe that our excellent-quality storage containers are perfect for any industrial or commercial application. We take great pride in our ability to provide customers with a unique and professional service unlike any other. We are a family-owned business that has adapted and changed over time to provide an outstanding level of service every time, which has led to our customers praising our services for a number of years. A very friendly & polite company, I considered as friends and would always go the extra mile to help and support. First rate company whose attitude and commitment to customer service is second to none. Upminster Containers Ltd, Excellent Job from a satisfied customer!I am very impressed with the professionalism of Upminster Containers Ltd; the staff believes in true customer service having both honesty and integrityUpon giving me a very reasonable price for a refurb storage container, and going the extra mile adding boarding, electrical and arranging delivery, I had the convenience of putting my feet up while allowing the staff deal with arrangements.I found Upminster Containers Ltd a pleasure to do business with and I have no hesitation to strongly recommend the services of this local gem of a business.